573 hp, 525 cu. in. OHV fuel-injected V-12 engine, four-speed GM 4L80E automatic transmission, full-time all-wheel drive, four-wheel independent suspension, and four-wheel power-assisted anti-lock disc brakes. Wheelbase: 119 in. Some cars have presence, some cars have panache, some cars have prestige, and some cars have all that and more…like Packards. This is what inspired Roy Gullickson, entrepreneur and engineer, to pursue his dream and build the new Packard Twelve. It began as an idea among friends during a conversation at lunch in 1991. 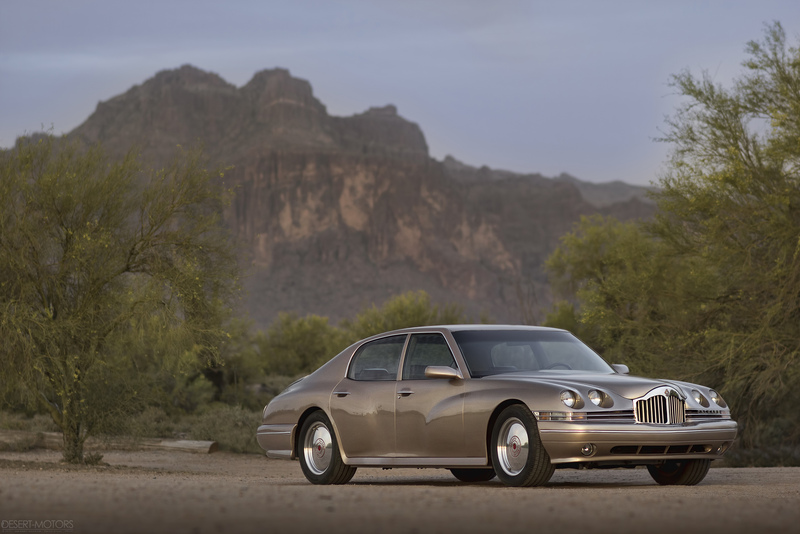 After successfully securing the trademark rights to build a new automobile with the Packard name, concept development began during September and October of 1993. Engineering and styling work was started in January 1994 and continued through to 1996 with Gullickson and Lawrence Johnson, who were both mechanical engineers with automotive experience. 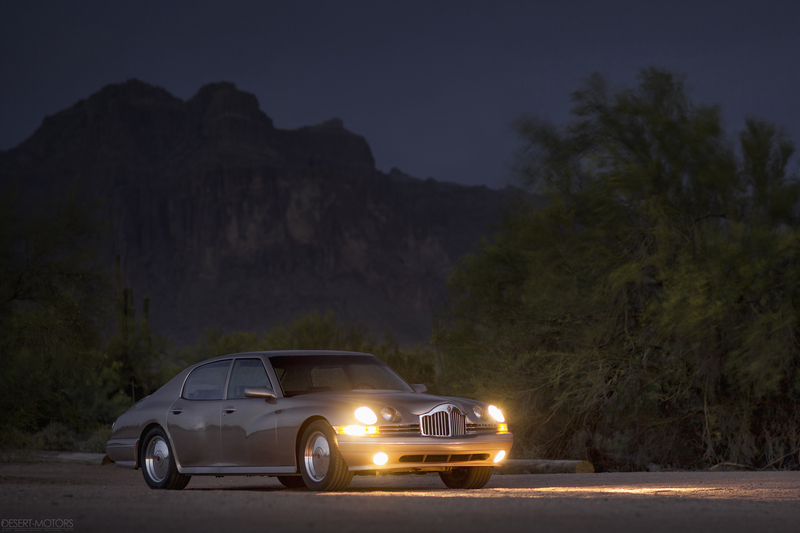 The new Packard Motor Car Company and Twelve prototype were first introduced publicly at the 25th anniversary celebration of Arizona Packards in Tuscon in October 1998. 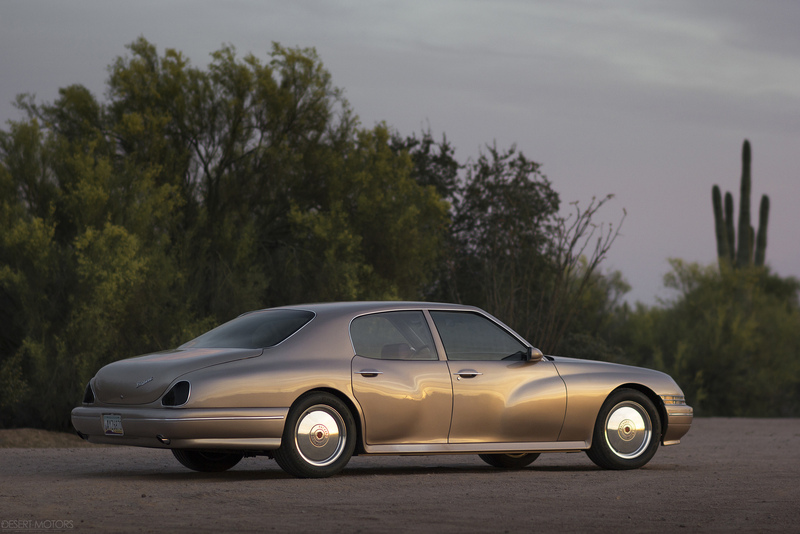 A full-size styling mock-up was developed after consultation with four professional stylists, who included Don Johnson, the former GM stylist who was responsible for the final version of the Zimmer automobile. The sub-structure is an all-aluminum space-frame chassis and body, making extensive use of proprietary high-strength, heat-treated aluminum extrusions. The special aluminum suspension A-frames and knuckles are heat-treated, then X-rayed and dye-penetrant tested to detect any porosity. Anti-squat and anti-dive geometry are included, along with 13.2-inch four-wheel disc brakes. The completed car weighs in at a comparatively light 3,750 pounds. 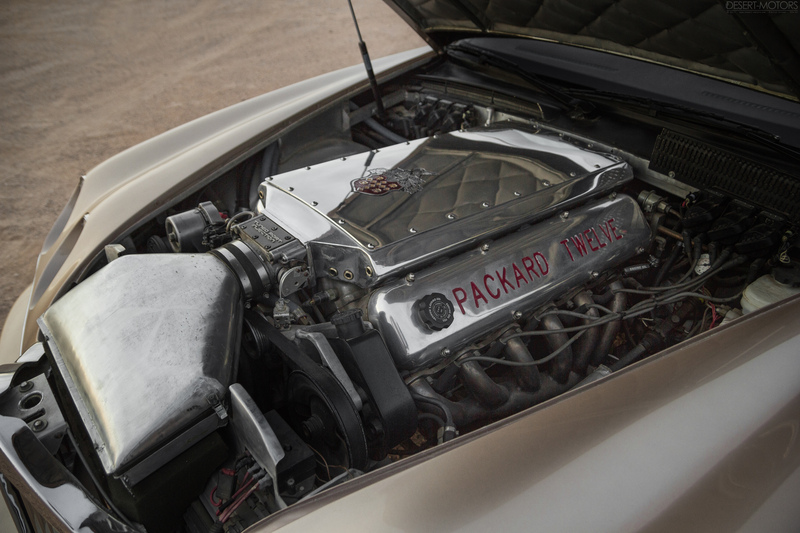 Power is supplied by a 573 horsepower, 525-cubic inch, all-aluminum OHV V-12. The engine was tested over a five-year period and is equipped with Delco electronic-port fuel injection, dual catalytic converters and oxygen sensors, and Delco powertrain control modules. Full-time all-wheel drive is managed by a Borg Warner transfer case with a viscous clutch and a 35/65 torque split front/rear. A GM 4L80E four-speed electronic-shift automatic transmission was chosen for effortless touring. Performance is quoted at 0–60 mph in 4.8 seconds and the quarter mile in 12.5 seconds. 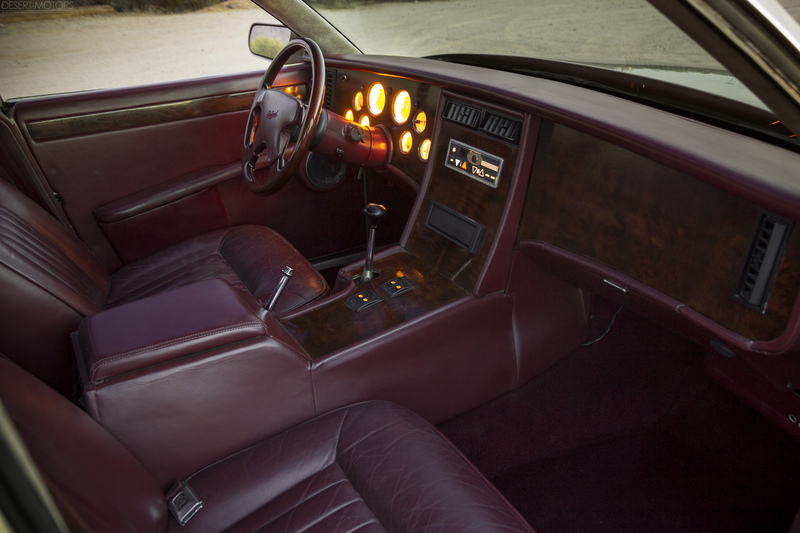 Inside, you’ll find fine leather upholstery, hand-finished dark walnut veneers with aluminum backing, power front seats, and power windows and locks. Comfort items also include automatic temperature control, full instrumentation, and an AM-FM radio with a CD player and changer. Included in the purchase of the vehicle are spare parts, such as door glass, suspension knuckles and A-frames, and taillight lenses, along with a list of components with part numbers and suppliers’ names. Historical notes and materials will be provided with the car, as well as many additional photographs and original artwork.